Hey everyone...Another So-Saree Reader speaks today about her love for Sarees and it is none other than the gorgeous Ananya of Ananya Tales. I am Ananya Kiran from South India currently living in Seattle, USA. I am a freelance writer and I strongly believe that we can bring a positive change in the world through the stories we tell. I love connecting people, issues, and ideas together to create new opportunities. This is the very same reason why I love reading So-Saree. Its a beautiful Blog where we get to see not only Aditi's fashion panache but also connect with readers across the globe. I feel it becomes all the more important to stay close to our roots when we are far from our motherland. I am glad to be sharing this post with all you wonderful readers, Thanks for the opportunity Aditi! 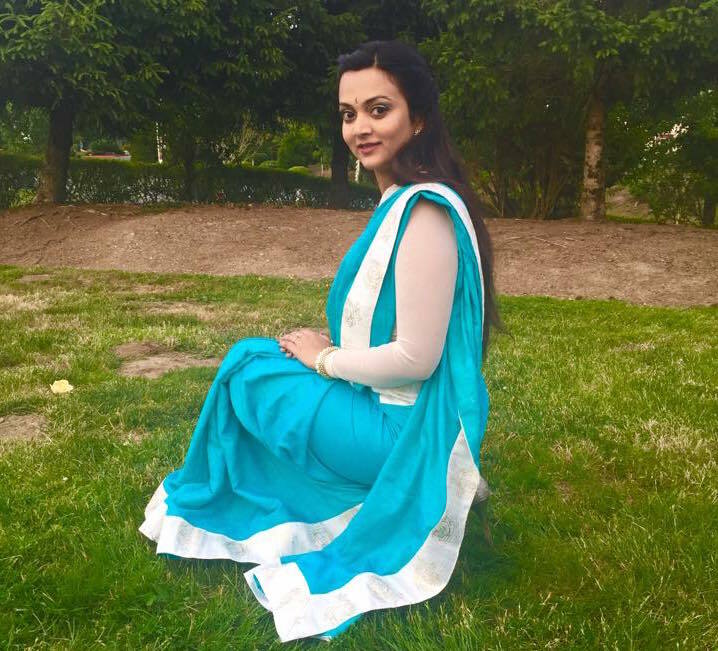 I love wearing saris, unfortunately Seattle weather does not support it, either its too cold or too hot. So I anxiously wait for occasions where I can wear one. For a formal party,last weekend I chose to wear this simple jacquard print sari with white border. I like experimenting with looks, so instead of the blouse I draped this sari with a crop top. I added pearls and think the whole look is quite versatile. Its' even work appropriate as well as causally elegant for a brunch or party. Choosing the right saree according to your body type is really important. You might find this article really helpful: Perfect Saree for your body type. Also I launched my You tube Channel with the first video on Saree. I am really excited about it. Please let me know your views. If you wish to read more please do visit my blog AnanyaTales. Thanks Aditi for the feature, anxiously waiting for ur readers response. Omg Ananya u r looking soo pretty and cute and gorgeous!! The colour is suiting you a lot. You look great, Ananya Love the chic and simple styling and the colour looks amazing on you. yup.she looks pretty, I said that to her on her blog too.